Were they deleted? Misplaced? What’s going on? Is your inbox in Gmail missing emails? Need to recover some from the depths of your account? We've got you covered. Whether you accidentally deleted them or they've decided to go missing on their own account, we'll help you get them back. Do you seem to have lost a large number of emails or find they’re going missing regularly for no apparent reason? We would urge you to change your Gmail password immediately as it's possible your account has been compromised. Why Have My Messages Gone Missing on Gmail? There are several reasons for Gmail lost emails. The most common are users accidentally moving or deleting them, but forwards and filters can also be to blame. Filters: Filters are typically set up to funnel certain emails away from your main inbox to make managing lots of emails easier. To see if you have any in place using the web client, select the gear icon, select Settings, then select the Filters and blocked addresses tab. Forwards: You may be forwarding emails to another without realizing. To check if that's the case, login to the web client and select the gear icon in the top-right corner, select Settings, then select the Forwarding and POP/IMAP tab. Any forwarding addresses should appear at the top of the screen. Check your Spam: It's possible the email you’re expecting has been sidetracked by Gmail's spam filter. On the web client, login and select Spam from the left-hand menu. Look through the list of emails; if you find what you were looking for, select it, then select Report not spam. If you're using the Android or iOS app, tap the hamburger menu to access the Spam folder. If you find the missing email, tap it, tap the three-dot menu, then tap Report as not spam. Emails marked as Spam stay in the Spam folder for 30 days and then are permanently removed. If an email has been in the Spam folder for longer than that it has likely been deleted. Check your bin: It doesn't hurt to check your trash bin. From the web client, select More > Trash from the left-hand menu. If you find the email you're looking for, right-click (or tap and hold) it, then select Move to Inbox. On the Android or iOS app, tap the hamburger menu, then tap Bin. If you find the missing email, tap it, then tap the three-dot icon, and tap Move to Inbox. Emails that have been deleted stay that way for 30 days and then are permanently removed. If you deleted an email more than 30 days ago it is likely gone forever. 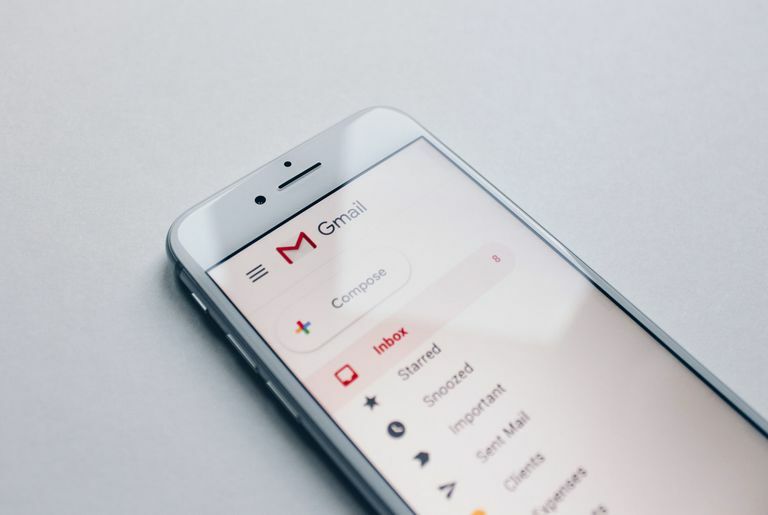 Check Social/Promotions: Your missing email may be categorized as a promotional or social email, which are sequestered in their own Inboxes on Gmail. On the web client, select either the Social tab or Promotions tab. If you want to move any emails there to your main inbox, right-click or tap and hold and select Move To, followed by Primary. To check them on the Android or iOS app, select the hamburger menu, then tap Social or Promotions from the list. To move an email to your main Inbox, open it, tap the three-dot icon, then tap Move To > Primary. Check the archives: It's possible an email was archived without you realizing it. To check that particular part of Gmail on the web client, select More > All Mail from the left-hand menu. Although this will display all of your emails in one place, it will also contain any that were archived. To access that area on the Android and iOS app, tap the hamburger menu, then tap All Mail. Use search: The email you're looking for might just be buried under all the other emails. Use Gmail's built-in search function to find it quickly by entering the email's subject, recipient, or original sender. You can also use search within individual folders. If you don't want to dig through all of your spam or social emails, you can use the search function there to make your job a lot easier. If none of the above works and you desperately need to find an email, Google's support team might be able to help. Although the service is typically reserved for hacked accounts or when an email has been maliciously deleted, it does sometimes dig up lost emails. Provide as much information about the missing email(s) as you can, including the date you first noticed they were missing. You'll need to make a request within 30 days of receiving or sending the email, so act fast if you feel like your email went missing recently.